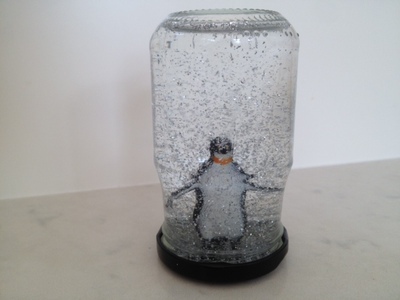 Making your own glitter snow globes is loads of fun and easy to do. Preschoolers will be fascinated with their finished creation. 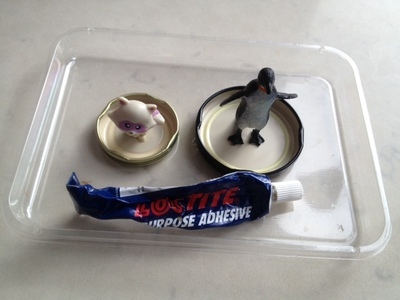 Glue a plastic figurine (or anything waterproof) onto a jam jar lid using super glue. Make sure an adult does the super gluing step. 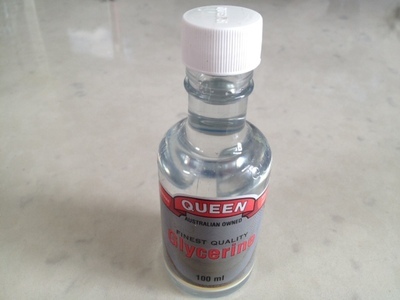 Add 2 teaspoons of glycerine to a cup of cooled boiled water. 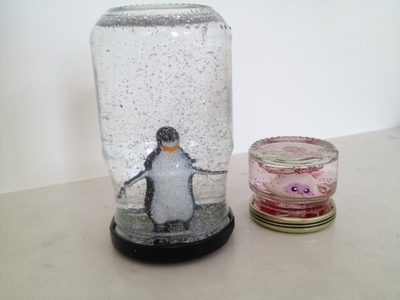 The glycerine thickens the water and makes the glitter float slowly. 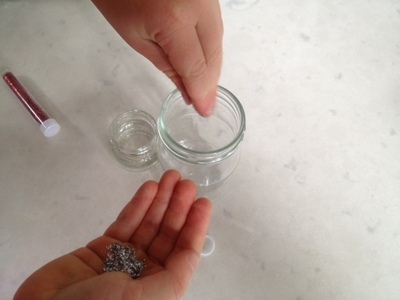 Add the glycerine and water mix to the jar, filling it up to the top. 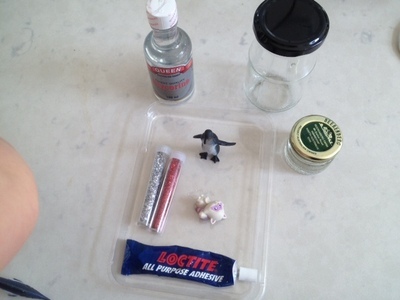 Screw the lid with the figurine onto the jar. 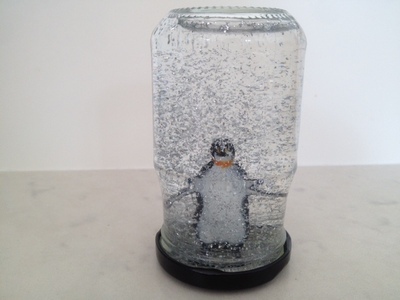 Shake and enjoy watching your snowstorm glitter globe. We tried a very small jar and a larger one. 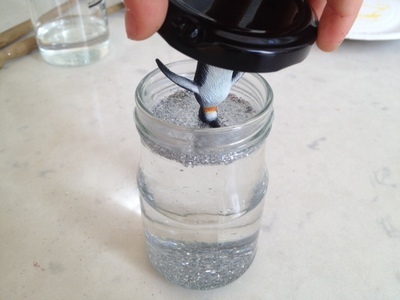 The tall jar worked much better as the glitter took much longer to float down after shaking.